Can I Rent A Car In Korea? For some people, the thought of taking public transportation is a nightmare. Maybe they fear the germs that are associated with dirty conditions that are associated with subways and buses. Or maybe they have multiple kids and think that trying to watch them get on and off of public transportation would be difficult. Still others tend to run late and don’t want to be on the schedule of someone else. For these reasons, some find it easier to rent a car when they travel. But what if you are going to Korea? Can you rent a car as a non Korean? If so, what should you know? Let’s take a look. Renting a car can be as simple as having the internet. Sites that allow you to rent a car in advance typically will have rates for renting a car when you arrive in Korea. While some will say you can pay at the counter, you can sometimes save money by paying for the rental up front before you arrive in Korea. That being said, here are a few things you may want to consider before deciding that renting a car is the way to go in Korea. Many stand alone GPS units that allow you to mount the GPS on the windshield may require you to purchase maps for Korea and may override the downloads that you currently have in order to put the Korean maps on there. Also, people with iPhones have had problems using Apple’s GPS service in Korea. (Not too surprising seeing as you are then in the capital of the Samsung and LG empires.) You will want to investigate what GPS programs will work best for you before your plane takes off. If you can’t read Korean, you may find yourself in trouble when it comes to parking in certain areas of Seoul. Also, some areas have narrow streets and are not made for 2 way traffic. If you don’t know about these areas or how Korean driving rules apply, this could make your trip more frustrating than you’d think. This could make using a rental car more of a hassle than you first thought it would be. There are times when traffic in Seoul is heavily backed up. 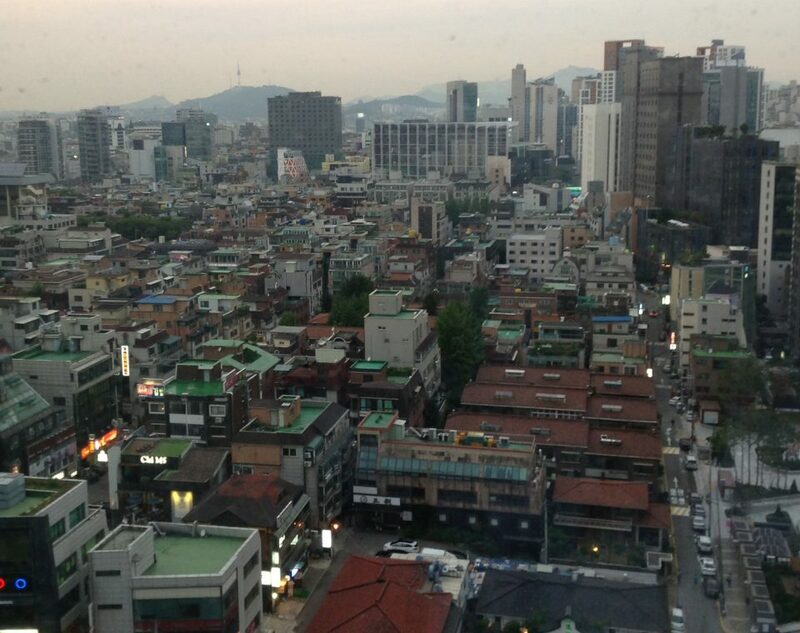 (Seoul’s metropolitan area sometimes is ranked as having more people than cities such as Beijing and Mexico City.) At times like these, being on the subway may save a lot of time and cost less money than having a car. If you are looking to go from Seoul to Busan, the drive could take around 6 hours or more depending on traffic and weather conditions. However, taking the KTX train takes 2 and a half hours. In other words, the train will take you from Seoul to Busan and back in less time than it would take you to drive it one way. If you are in the United States and your personal car has full coverage, your insurance company may transfer your insurance to a rental car while in the U.S. This does not apply to you driving in another country. You will want to talk to your insurance company about how you can be covered while driving in another country. If you plan on renting a car in a different Asian country that you will visit, make sure they know that ahead of time. Otherwise if you get into an accident, you could be liable for damages and dealing with another county’s legal system. If you know what you are doing and where you are going, renting a car in Korea can be fun and can be better for your situation. However, this is not an option that will work for everyone. Be sure to do your research and make plans accordingly to ensure you have a great and stress free time no matter where your travels take you.